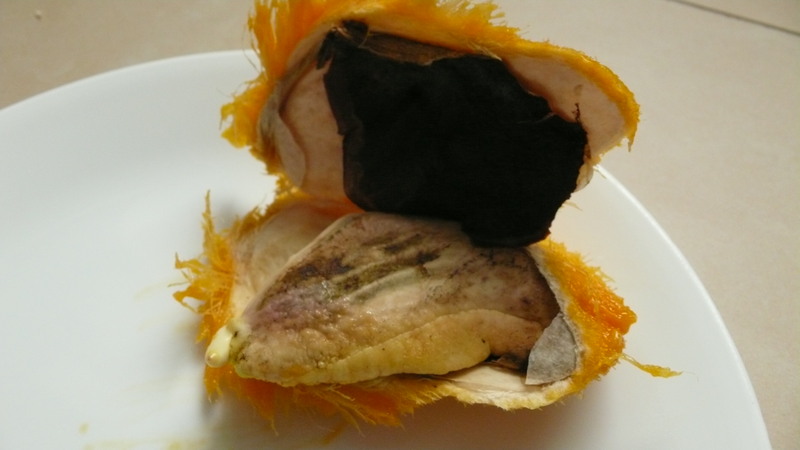 A few weeks ago, I noticed that the seed from a mango I was eating was split. Upon closer inspection, it looked like it was rooting! I broke open the husk around the seed and there was a rooted seed inside! I then pulled out the seed, wrapped it in a wet paper towel and let it sit for a few days, making sure to keep the paper towel wet. After a few days in the wet paper towel, I noticed the seed was starting to change to a beautiful green color, so I knew something good was happening. I planted it in soil, leaving just a tiny bit of the seed visible. I could see it continuing to turn greener and greener, and though it took a while (at least two weeks, I think), eventually a quick-growing sprout came out of the soil! Note how the seed turned very green. At first the leaves were a glossy dark brown color, but after a week or two they turned green. Now I have a beautiful mango tree growing and two more seeds started. 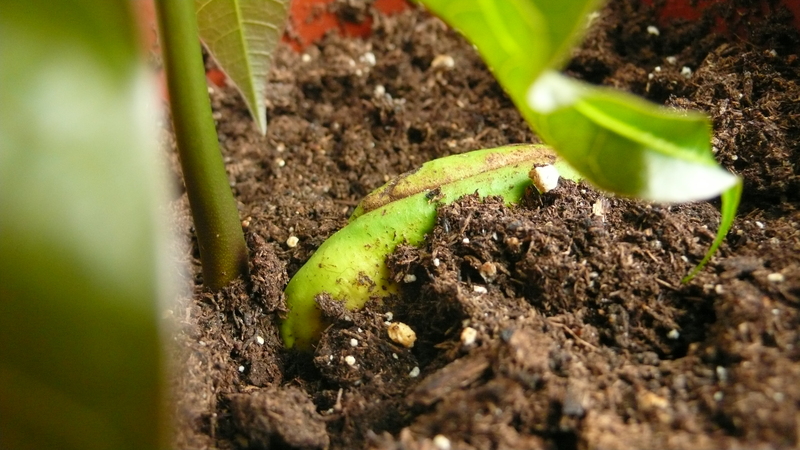 Also of interest: Growing an avocado tree from seed? This entry was posted on Sunday, September 26th, 2010 at 9:43 pm and is filed under Home. You can follow any responses to this entry through the RSS 2.0 feed. You can leave a response, or trackback from your own site. 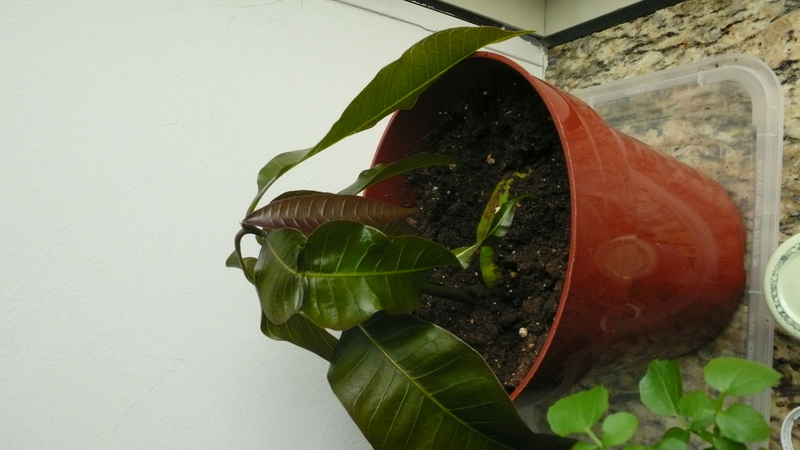 2 Responses to How do you grow a mango tree?